NIRDPR Recruitment 2018 Notification for 21 Project Scientist (WAPS, SNM, MAD, PDBGIS, RS/GIS) Vacancies is released. Petitioners who are searching for the Government Jobs in Hyderabad, and Telangana they may apply for the National Institute Of Rural Development And Panchayati Raj Advertisement 2018. Here we are exploring the complete details about the nird.org.in Jobs 2018. Interested people can apply for నేషనల్ ఇన్స్టిట్యూట్ ఆఫ్ రూరల్ డెవలప్మెంట్ అండ్ పంచాయతీ రాజ్ Openings 2018 before the end date. The application process starts from 7th August 2018 to 27th August 2018. Aspirants who will submit their application forms after the completion of the end date, the higher authorities of National Institute Of Rural Development And Panchayati Raj will reject your forms. To apply for NIRDPR Recruitment 2018, contenders must have the proper and essential qualification. For more details read this complete article. This advertisement is for the recruitment of Project Scientists (WAPS, SNM, MAD, PDBGIS, RS/GIS) Vacancies. Contenders who are having the essential requirement, they can apply for NIRDPR Recruitment 2018 through online mode only. Any other way of application is not validated for the NIRDPR Recruitment 2018. Aspirants who are in willing, they can apply for NIRDPR Recruitment 2018 from 7th August 2018 to 27th August 2018. If any of the application forms received after the end date, those applications will be rejected by the officials of National Institute Of Rural Development And Panchayati Raj. Every year this department will recruit thousands of candidates for different posts. Job seekers who are having essential qualification can apply and need to submit their application forms before the end date. In the below sections, we had furnished the post names along with their number. So candidates who had applied for the NIRDPR Recruitment 2018 for those postulants it is essential to get to know about the Post-Wise Vacancies For nird.org.in Jobs 2018. Initially, every individual has to check the educational qualification before applying for the NIRDPR Recruitment 2018. Because in this vacancy, the educational qualification is must and should. Candidates who are the essential qualification, they can apply. In the below sections the educational qualification is given according to post-wise. minimum of 6.84 on 10 point scale or equivalent. CGPA/CPI Grading of a minimum of 6.84 on 10 point scale or equivalent. Physiology) with B Sc in Agriculture. The age limit same for every post. For more details about Age Limit Check the official notification. The payroll will be given for the selected candidates according to the rules and regulations of the National Institute Of Rural Development And Panchayati Raj Organization. The salary for every vacancy is the same. Initially, visit the official website of National Institute Of Rural Development And Panchayati Raj that is nird.org.in. 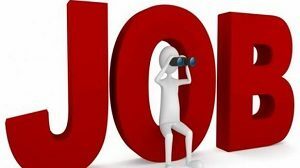 Search for the NIRDPR Recruitment 2018 link in the Job Vacancies section. Click on that NIRDPR Recruitment 2018 link. Read the complete details of eligibility criteria. If you are eligible for NIRDPR Recruitment 2018, candidates can apply by filling the application form. Click on Apply Button and download the NIRDPR Recruitment 2018 application form. Take a printout of NIRDPR Recruitment 2018 for further reference. Our team Sarkari Naukri had furnished the complete details about the NIRDPR Recruitment 2018 on this article. Thank You.